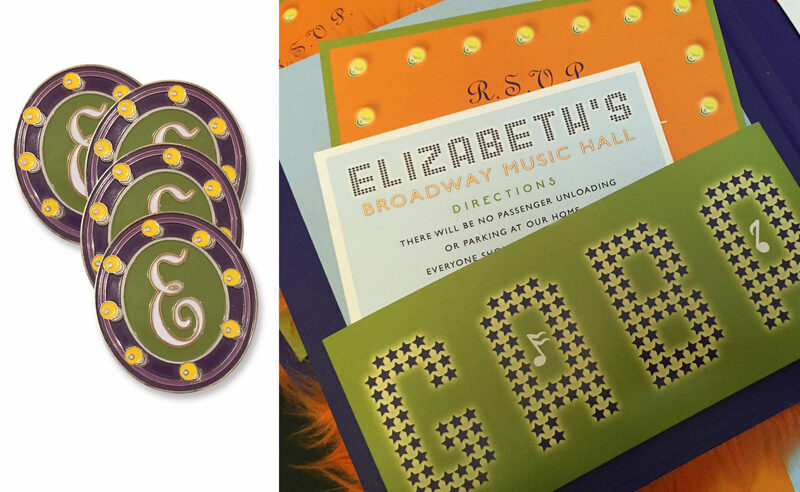 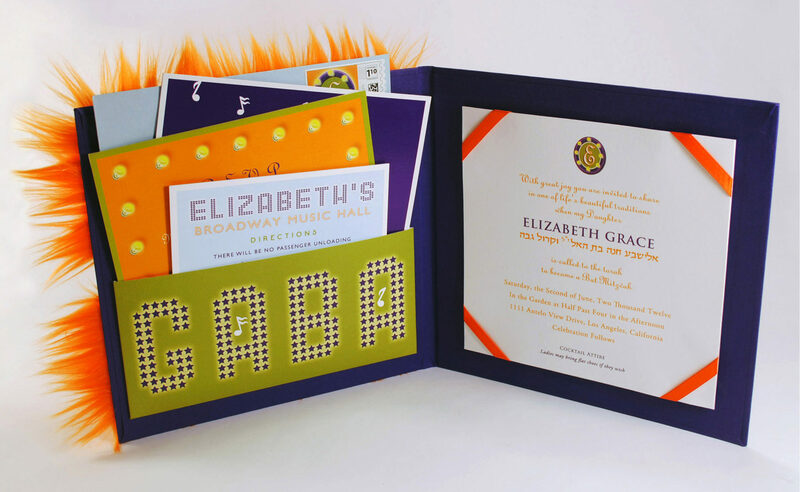 For a theater-loving bat mitzvah ready to take center stage, we created a show-stopping Avenue Q-themed invitation. 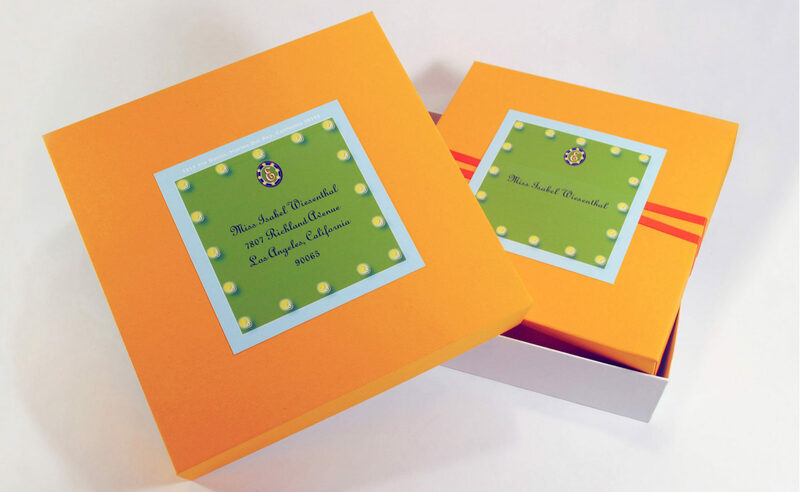 Custom-designed and built nested boxes are adorned with graphic stage lights and logo labeling. 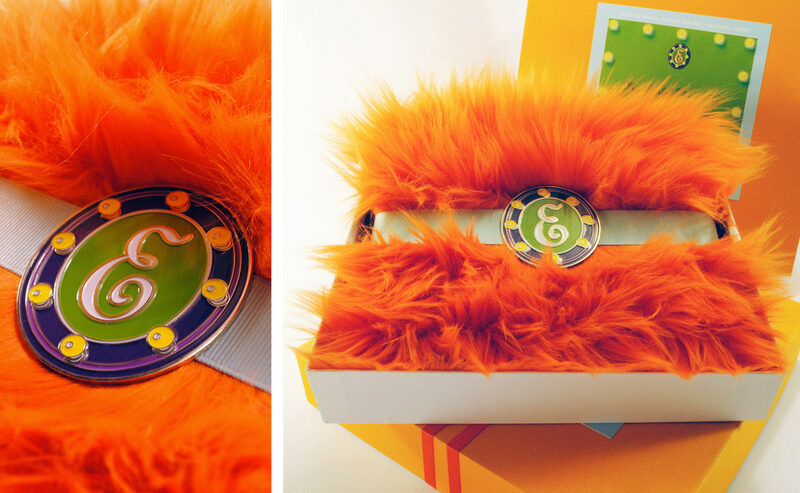 Inside, an eye-catching invitation is wrapped in faux fur and secured with grosgrain ribbon and a custom enameled pin. 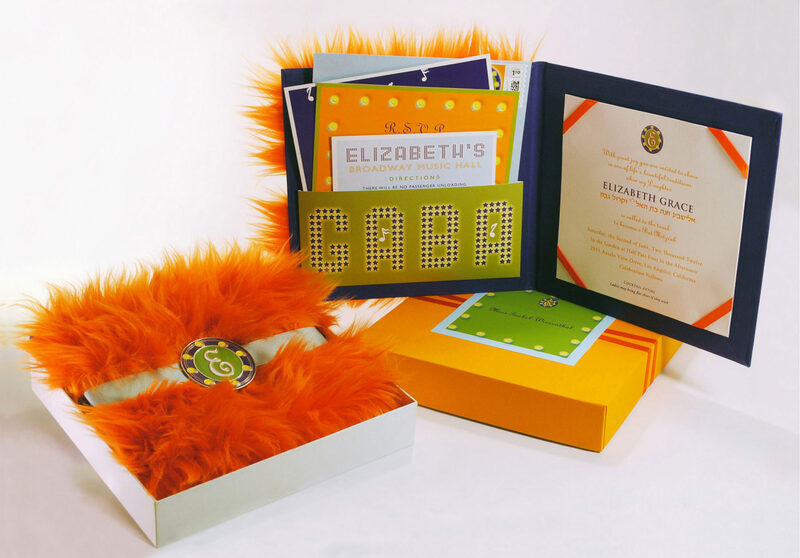 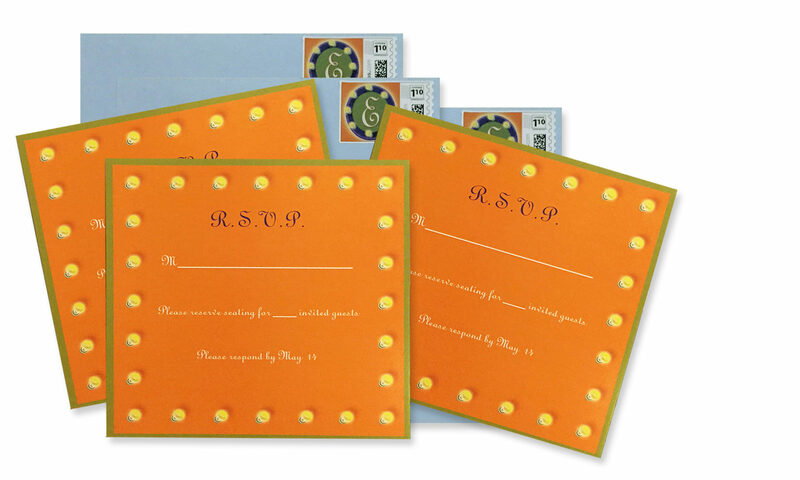 Within the folder, the invitation panel is bound with ribbon, while a marquee-inspired pocket holds the celebration information cards.